On Friday April 19th I was on CKWS Live@5 with Bill Welychka. We talked about the problem of Facebook users who are TOO active on Facebook (i.e. games). 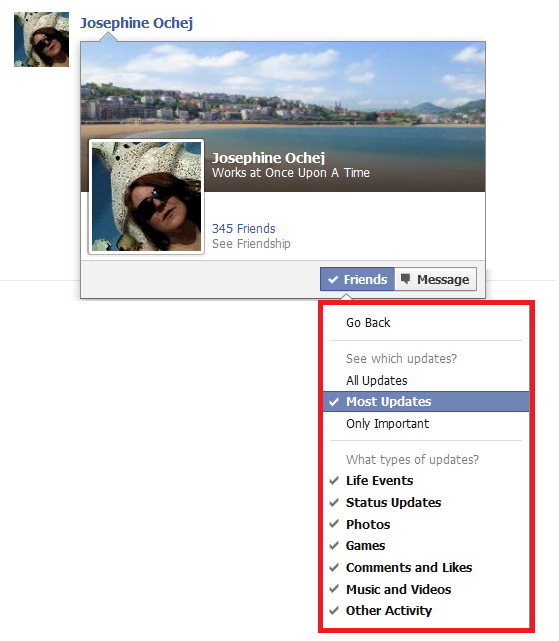 Without unfriending that person, users can customize what updates they receive from Facebook friends. With almost 10 years under its belt, social media has become an important cog to a business’ marketing strategy. Early on this new marketing method experienced healthy growth and businesses flocked to secure their business’ presence on Facebook and Twitter. Over the next few months employees of the organization frequently created Facebook posts, uploaded photos, tweeted and retweeted. However, slowly this activity faded into the background, becoming “just another thing to do” rather than being made a priority. And then… there was silence. Today I was on Facebook and a Page Suggestion appeared. Being curious about local business’ pages, I clicked on the link to view the page. I was surprised to see that the last update was October 2012. Really? I was also on Twitter under Accounts to Follow, and noticed most recent tweets were in 2009. Okay folks, that’s FOUR years ago. When was the last time that you logged into your business’ Facebook Page or Twitter account? If your answer is: More than 14 days ago, we need to talk. This is an odd one, but people seem to be of the opinion that social media is the “mysterious” thing that is unattainable and out of reach. Many of these people also believe that social media cannot be managed or controlled by internal employees or resources. Folks, social media is marketing! Therefore businesses need to integrate social media into their existing marketing methods and develop an ongoing social media strategy. A social media policy will provide a clear outline of what a company expects of its employees and its social media. That way a business knows what IS and ISN’T working – and make changes for improvement. While a company may understand the importance of social media, and have a superb policy, the individuals responsible for implementation may lack the confidence and skill to successfully execute. Invest in providing training opportunities for key employees will ensure they are effective and efficient on social media. I would love to provide training to you and your staff! Each organizational challenge presents an opportunity. Take this moment to reflect on your social media, and what can be improved! Pinterest users have the ability to search keywords and filter by: Boards, Pins, and Pinners. Here are three simple tips to optimize your Pinterest account. 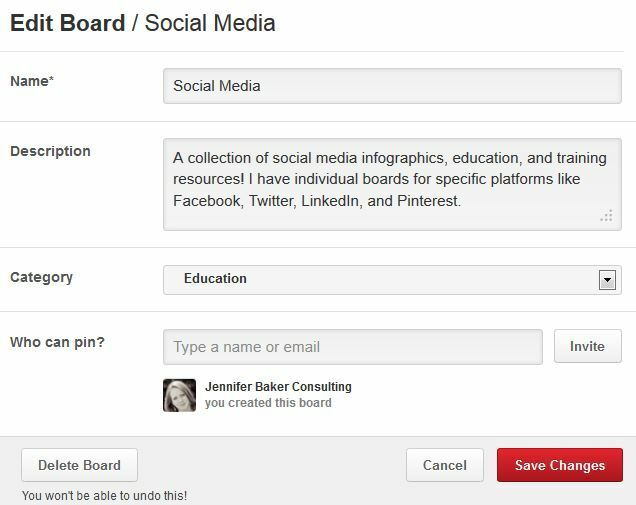 Pinterest provides new users with a standard set of generic pin boards. A collection of these boards include: Books Worth Reading, Products I Love, My Style, For the Home. While they are a good start for new Pinterest users, to truly optimize your Pinterest account pin boards should target a specific topic or area. Although you may have a board dedicated to kitchens, you may find it necessary to create additional boards to separate your ideas. For example: Kitchen Colours, Kitchen Countertops… etc! After creating a specific board (i.e. Kitchen Design Ideas) take a moment to input a detailed description about the board and the pins you plan to include. As I’ve mentioned, Pinterest users have the ability to search by keywords. It is important to include a pin description, which includes keywords about the pin. Do not leave the pin description area blank! Add your personal opinion and thoughts on the pin. If you haven’t noticed, the underpinning message of this blog post is to provide specific descriptions and keywords to your pin boards, board descriptions, and pins! Good luck! Nothing like a good social media seminar to do some research on the questions YOU have about social media! From the session yesterday in Stratford (hosted by RBC and CMHC) I learned that many people are overwhelmed by their Facebook Newsfeed, Facebook notification, and emails from Facebook. Technology has blessed our society with information – sometimes too much information. Do you need an email each time that someone changes the name of a group that you’re in, or an event that you’re attending? Probably not. 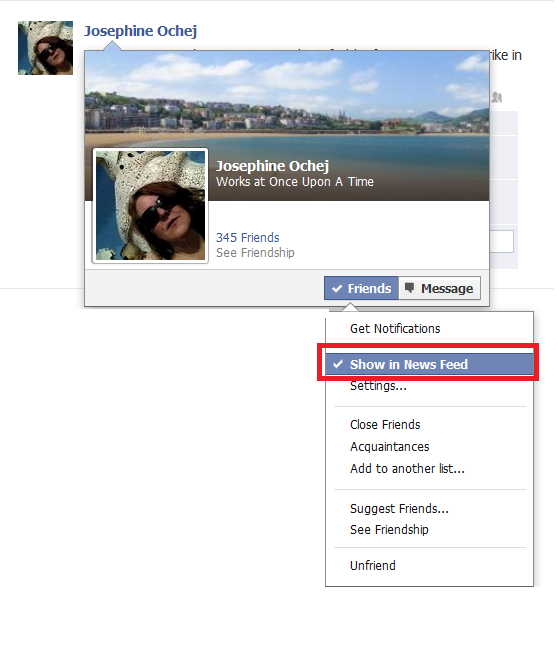 Do you need to be notified when there are people you may know? Doubtful. Do you need Facebook to suggest Pages you may be interested in? Not likely? 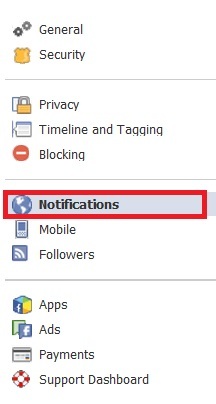 This will reduce the number of emails that you receive from Facebook. Hopefully now the emails will not clog up your email or be directed instantly to the SPAM folder.